Spot the Differences picture puzzles are very easy to solve if you know the proper technique to solve these kind of puzzles. You can check Spot the Differences Puzzle Tutorial to learn to solve these puzzles within 10 seconds irrespective of difficulty level of these Spot the Differences puzzles. However one cannot use that technique on this particular Spot the 5 Differences Puzzle as pictures here are displaced here horizontally. Anyway in this Spot the 5 Differences Picture Puzzle, there are two similar looking brain waves pictures. 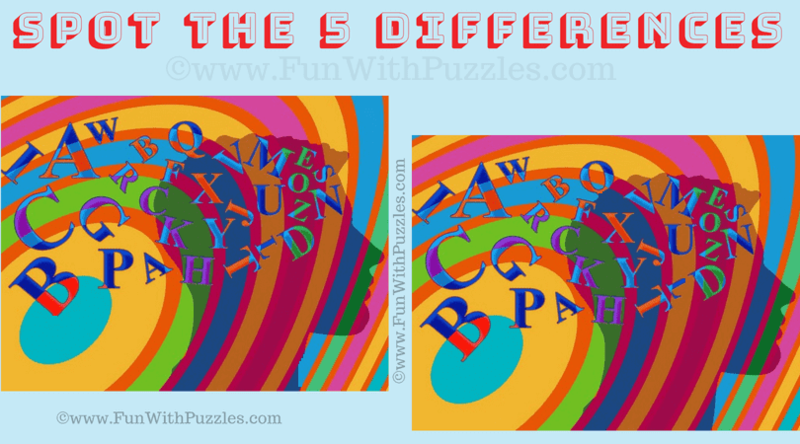 Your challenge is to find the five differences in these pictures. Lets see how much time you will take to find all the 5 differences? Can you spot the 5 differences in these pictures? Check Out Picture Brain Teasers to find which Picture is different?